Preventing Frozen Pipes | AllTech Services, Inc. While our temperatures certainly haven’t dropped to the point of freezing yet, we all know how hard winter can hit and the weather can take a turn. If you’re putting off any winter preparation for your home until we progress a bit more into fall, we urge you to reconsider. Particularly when it comes to your Reston, VA plumbing system. Plumbing systems are not something a whole lot of homeowners think about on a routine basis. This is especially true for plumbing problems, such as frozen pipes. However, frozen pipes occur in enough homes for it to be worth preparing your pipes. Remember, even just a couple consecutive days of below 30°F weather can result in frozen pipes, which leads to burst pipes. Can you avoid this? 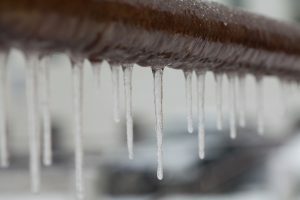 Posted in Plumbing | Comments Off on Are Your Pipes Prepared for Winter Weather?